There are many different ways to make money online but affiliate marketing consistently ranks as one of the most popular. Take a look at any internet marketing or online business forum and you’ll see countless numbers of people asking questions about affiliate marketing and how they can make money from it. So, here at Affiliate Marketing Clinic, we shall give you the answer on what affiliate marketing is. In simple term, affiliate marketing is where you recommend other people’s products (from a company or merchant) – and in return the owner of the product gives you a percentage of the sale price (commissions) if one of the people you have referred (potential customers) actually buys the product or service. The below pictorial illustrate the process. Affiliate marketing is very attractive because it’s pretty easy to get started. There’s no need to create or source products of your own to sell – all you have to do is get people to click on your affiliate link and buy the product, and thus there’s little upfront investment cost and no time consuming products to create. In reality, affiliate marketing is just one part of most people’s online business. If you want to be really successful online it’s generally accepted that you need to create (or source) and sell your own products, rather than JUST being an affiliate marketer. There are of course exceptions to this rule however and it is indeed possible to earn a very healthy income just from affiliate promotions. Most successful internet marketers make a hell lot of money from affiliate marketing! Product owners obviously need to get traffic to their websites in order to be able to sell products. And whilst a fair chunk of this traffic will be generated themselves, it makes sense for them to get other people to also promote their products and websites because it will result in lots of extra sales for little extra effort on their part. All they have to do is set up an affiliate program and give people a commission as an incentive – and then they can watch as their affiliates do the hard work and drive the traffic for them. So, whilst it’s true that as an affiliate you’ll be doing most of the hard work to drive the traffic, remember that as an affiliate you didn’t have to do any of the hard work the product owner originally had to do in the first place. But the above should give you some insight into why you should also sell your own products as well as being an affiliate. So how much can you expect to earn as an affiliate? 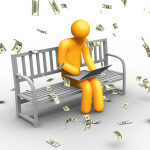 Commissions vary widely from affiliate scheme to affiliate scheme. 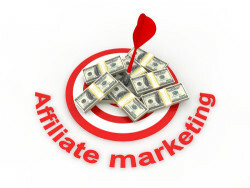 The most common practice is to pay the affiliate commission as a percentage of the total sale price. This can be as little as 1% to as much as 100%. Yes, some products pay you 100% commission – and you might be wondering why this is the case. The simple answer of course is that the product owner wants to make their affiliate scheme very attractive to potential affiliates so that he or she can persuade as many people as possible to promote it. By offering 100% commission on a low-priced front end product they will be able to get lots of affiliates on board and thus drive lots of people into their sales funnel. They’ll ultimately earn more money by making lots of sales on their back end products. You’ll find too that these low priced 100% commission products often give you instant commissions. So rather than making the sale and then waiting another month for the money to be paid into your account, the money from the sale is sent directly from the buyer and straight into your Paypal account (or whatever account you’re using). So how do product owners know which affiliate sent them the traffic? It’s actually quite simple. When you promote products as an affiliate you will be given a unique affiliate link. When people click on this link, it is tracked by cookies – and the affiliate commission is paid to you when someone buys something from that website after they have clicked on YOUR link. It varies across different affiliate schemes but it is common for the cookies to last for 12 months. So someone can click on your affiliate link and then not buy anything initially – but if they return to the website 10 months later and actually buy something you would still be paid for the sale. Not all schemes do this however so it’s wise to check this out before you promote. Ok, that’s about it. Are you excited to try affiliate marketing now? Maybe not as you might be asking where can I find the products to promote. We shall talk about this on your next appointment. Does the above article answer your query about affiliate marketing? Give us your comment if it does not.